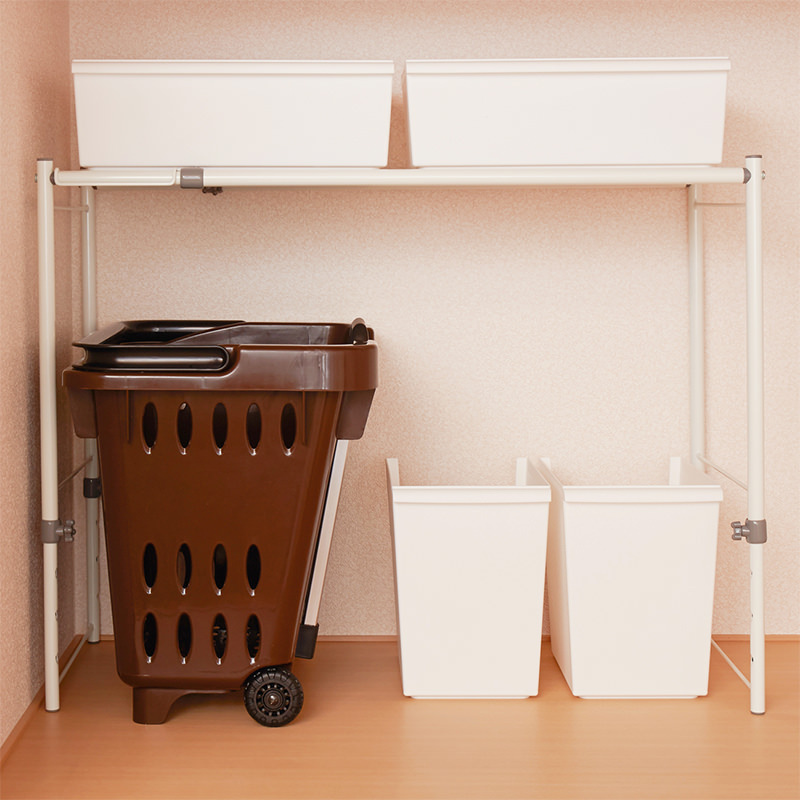 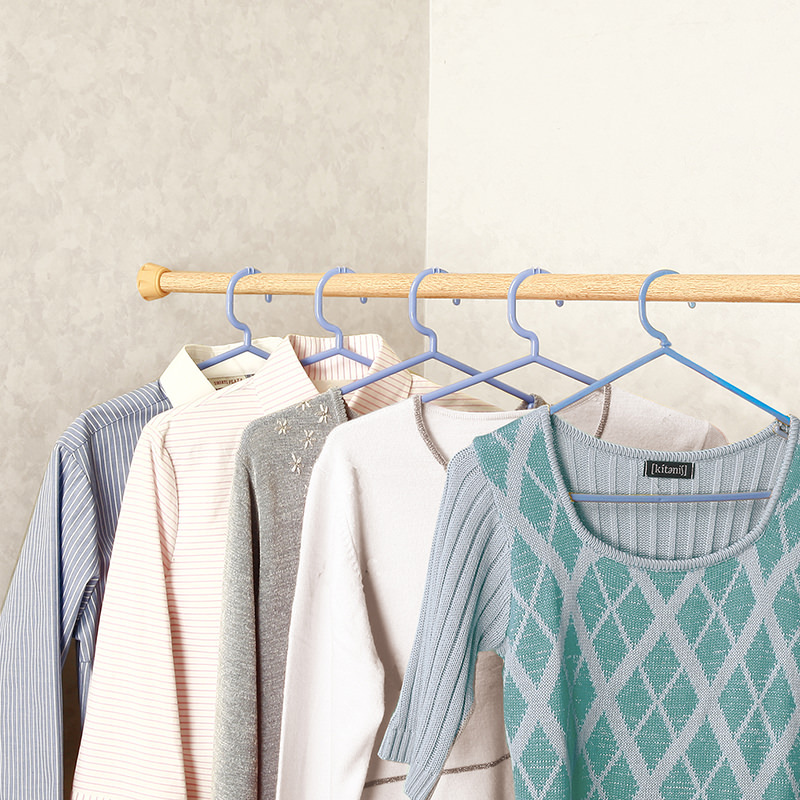 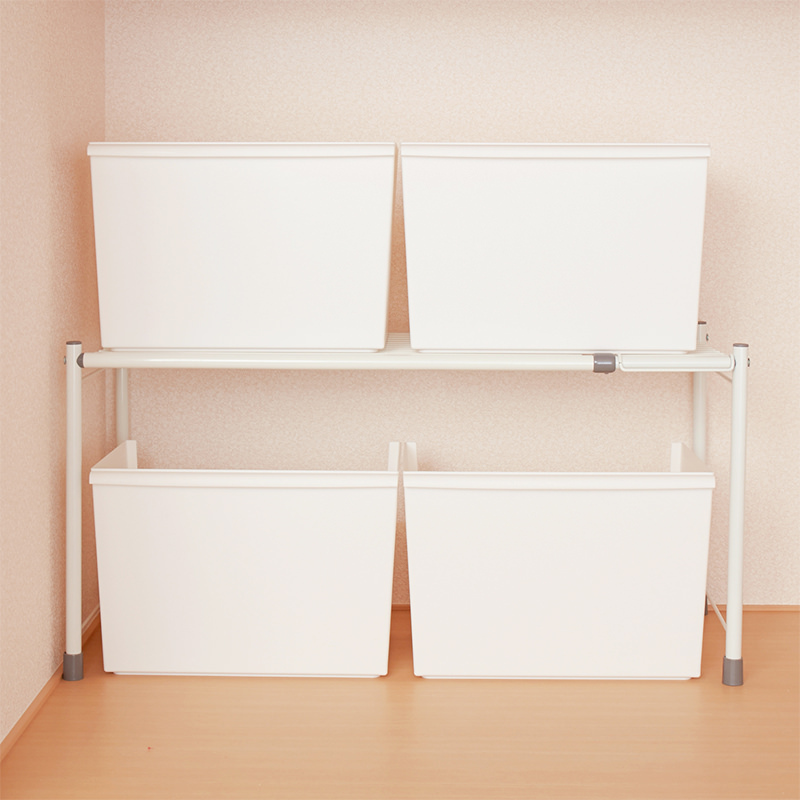 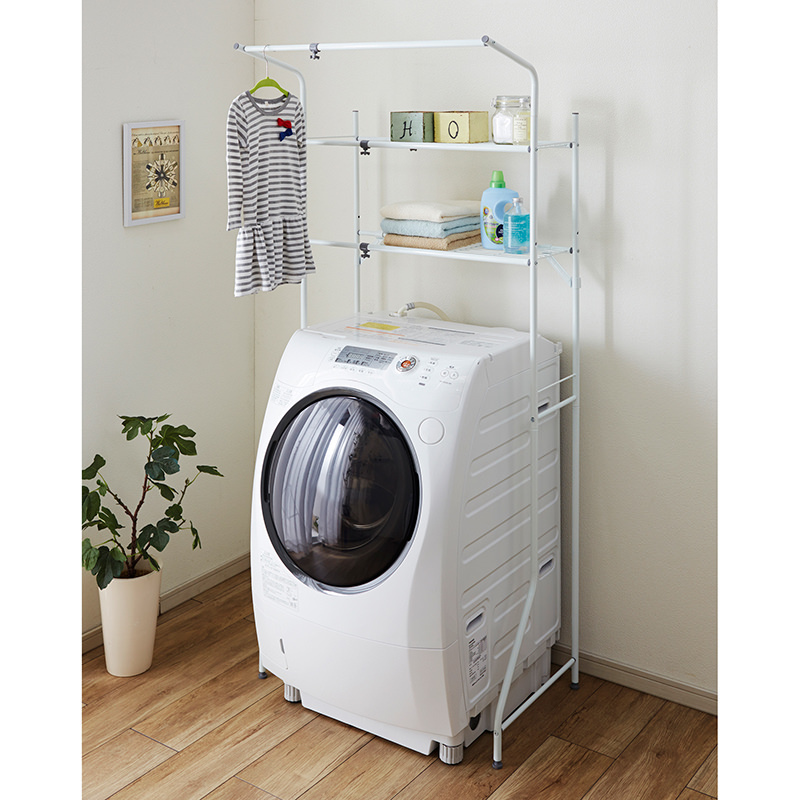 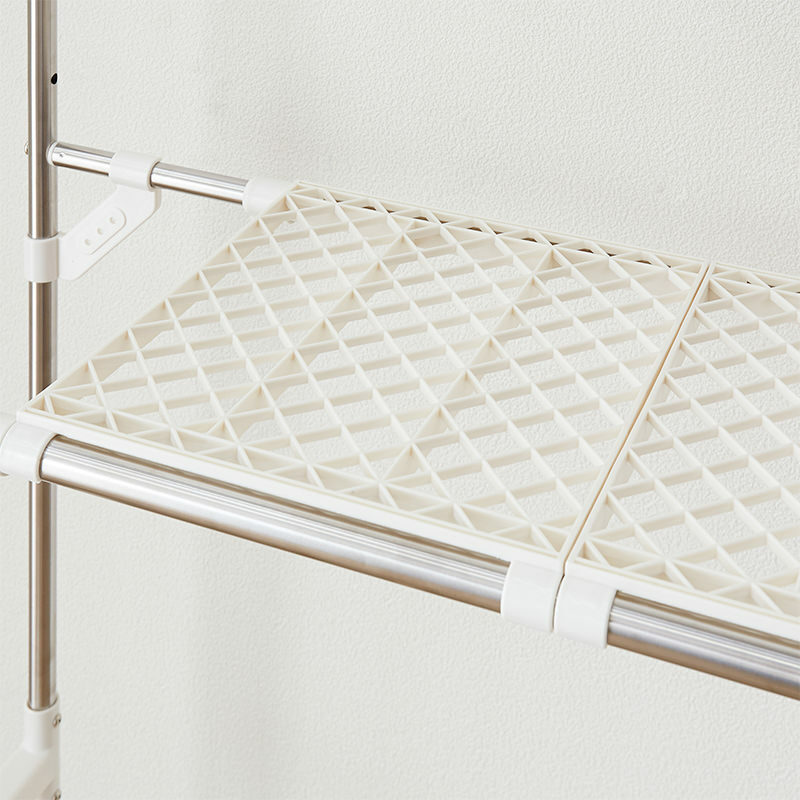 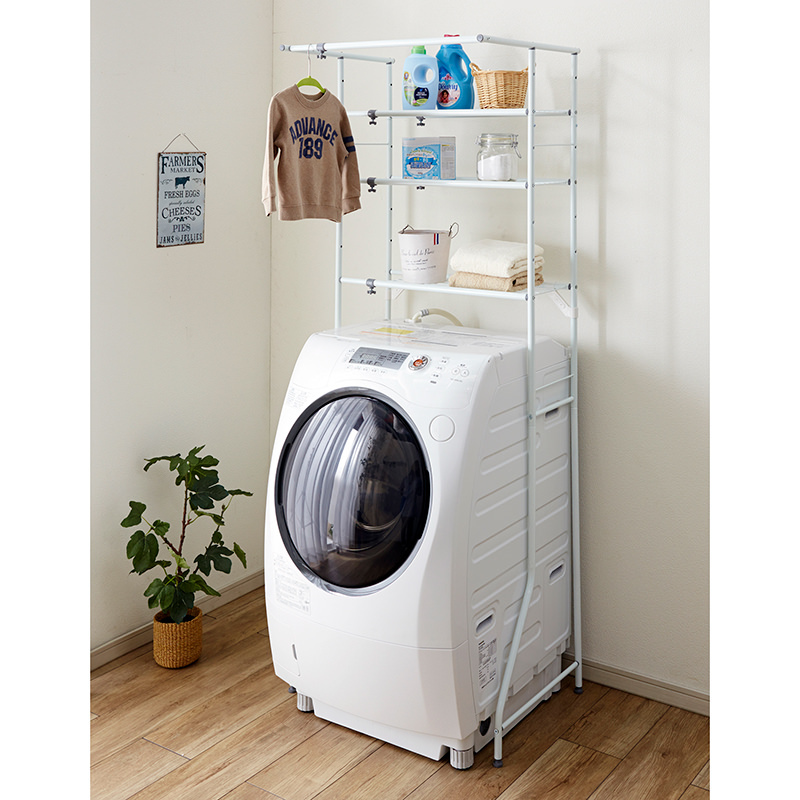 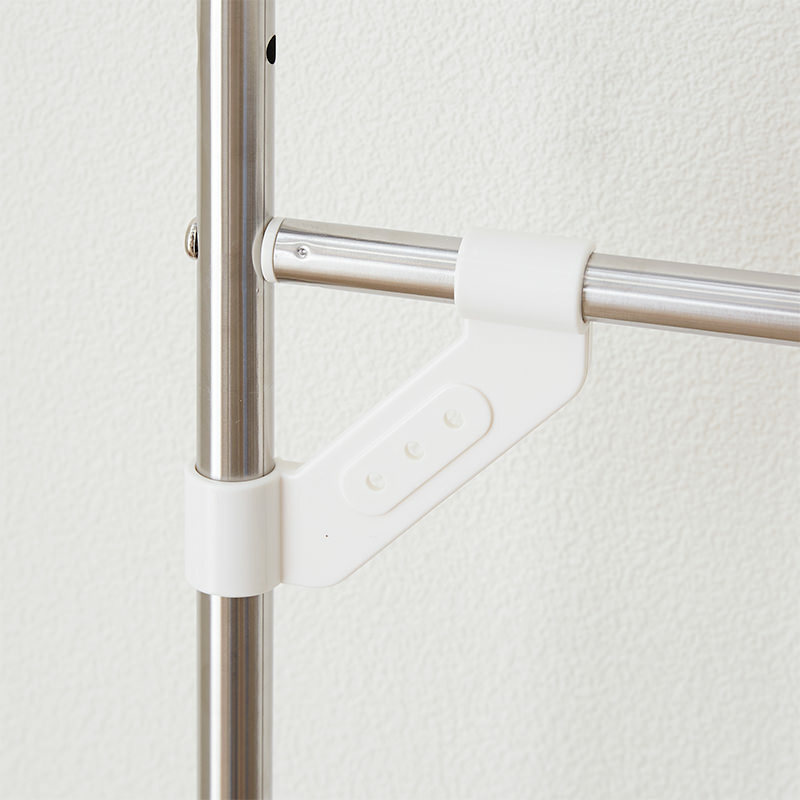 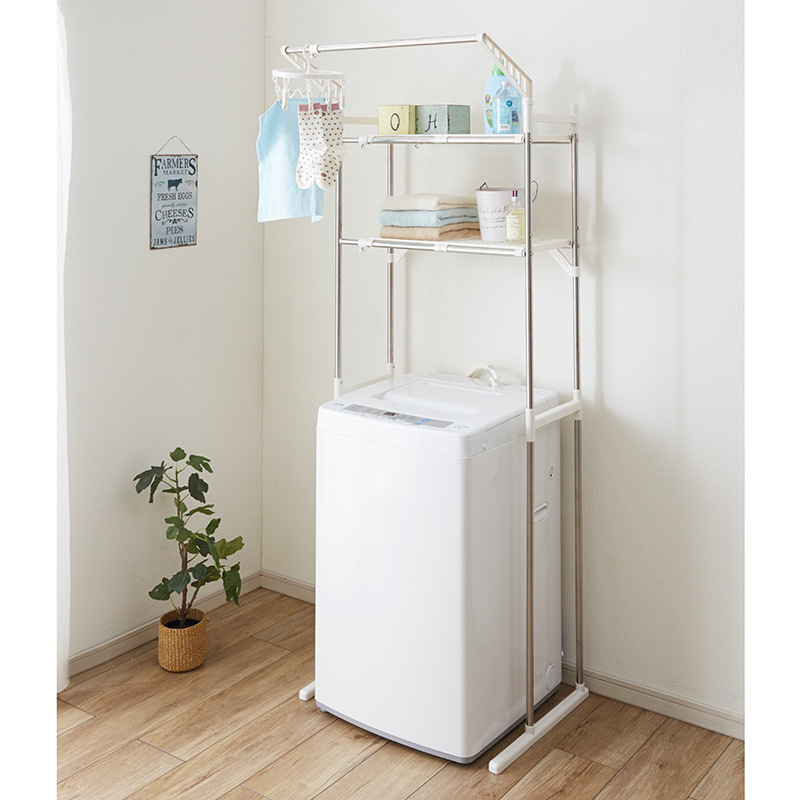 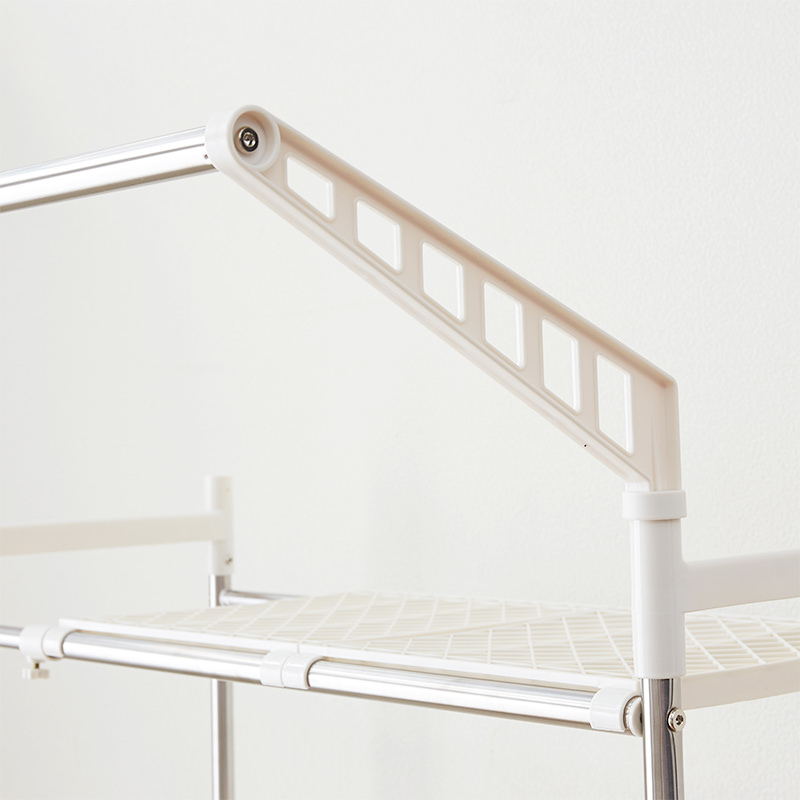 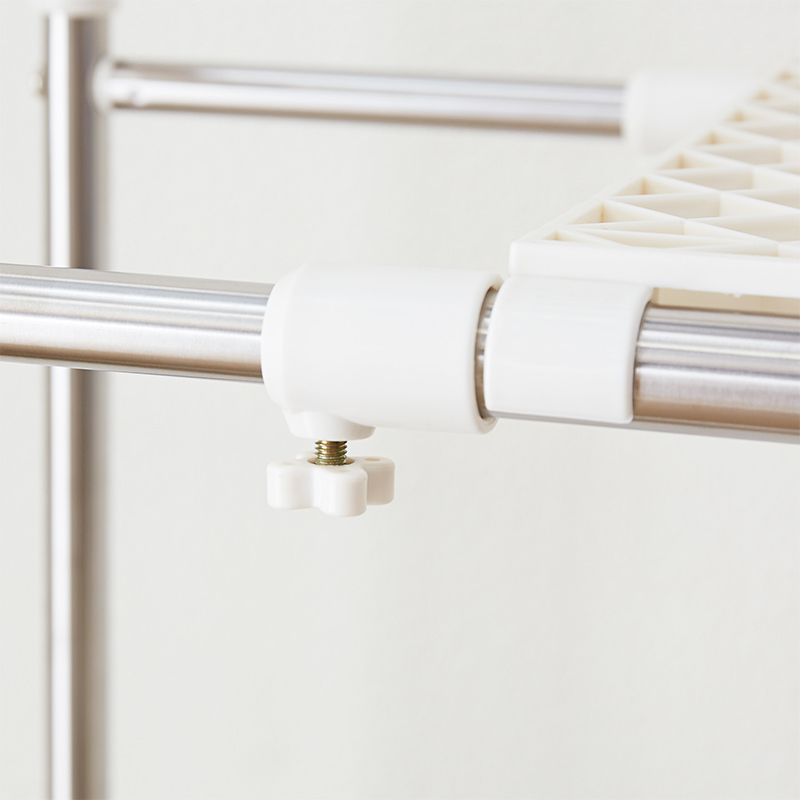 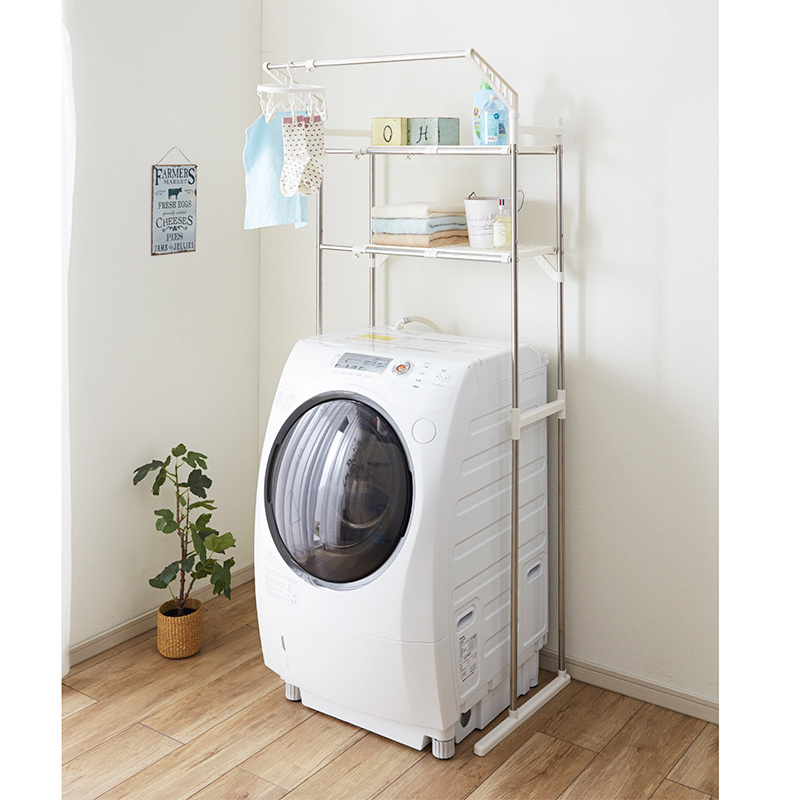 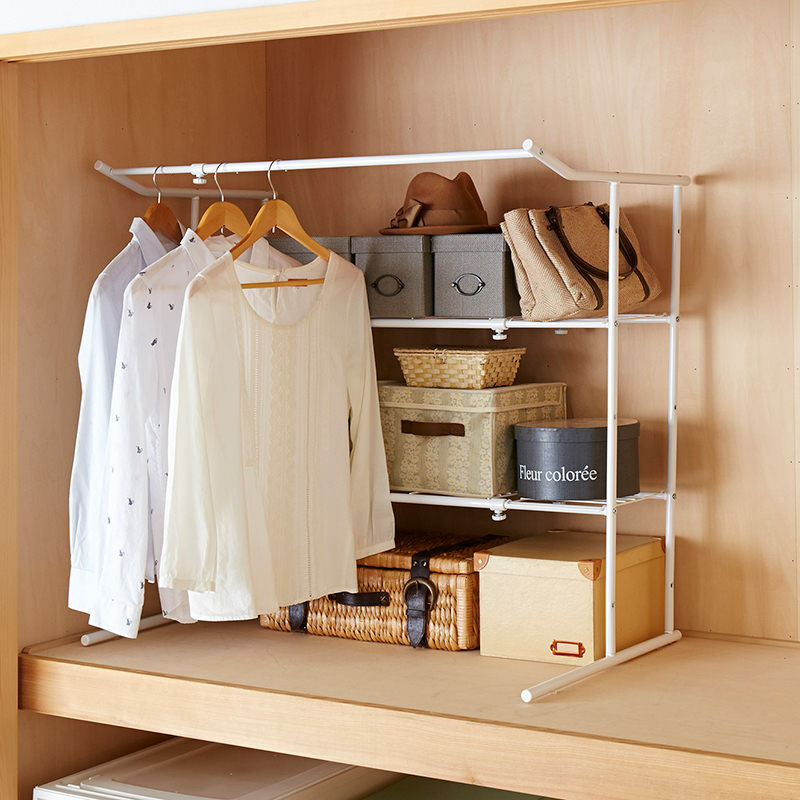 Stainless Laundry Rack with Hanger | PRODUCTS | HEIAN – Ingenuity for the better life. 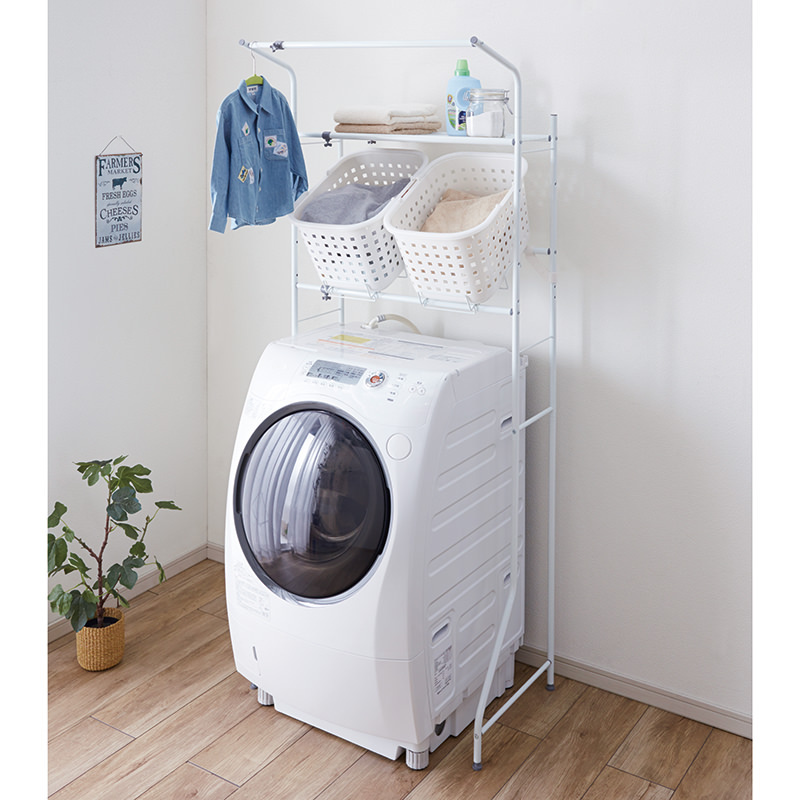 Laundry rack with 2 tier shelves over laundry machine. 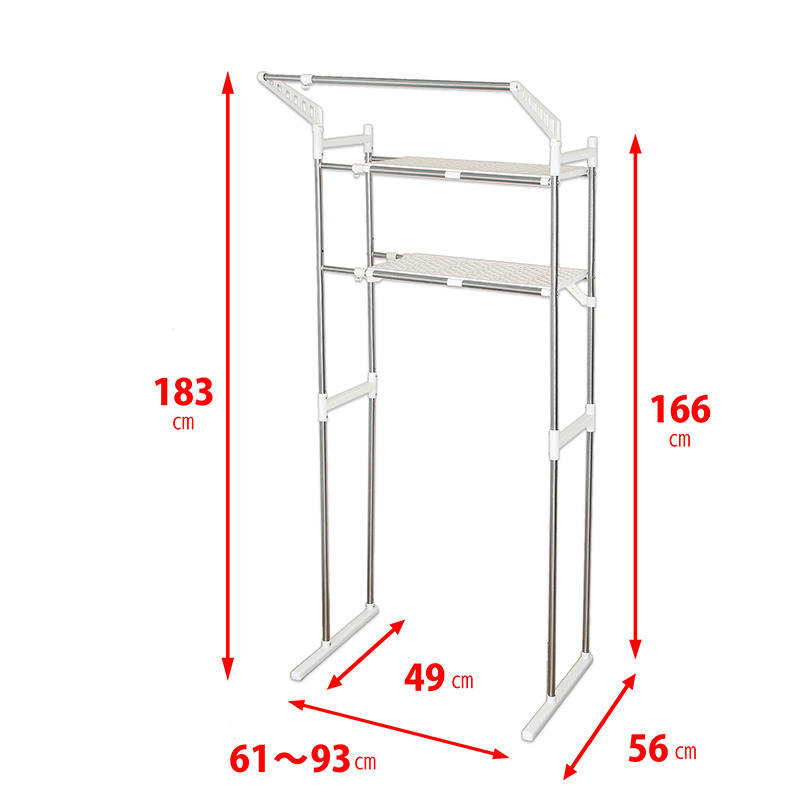 Width is adjustable.